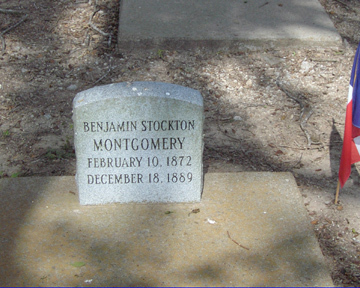 Comments: As the cenotaph shown below states, those named on it are likely buried in this cemetery. 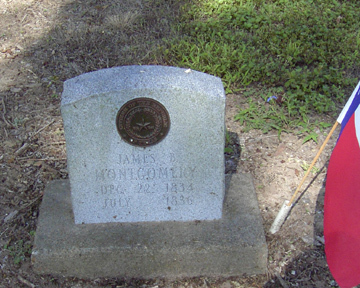 John Shelby McNeil was married to Laura Ann Montgomery McNeil, daughter of James Steen and Frances (Gilbert) Montgomery. 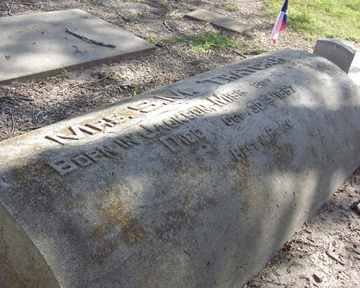 There is a letter which states that he died Aug 18, 1852 at Parson Kolbe's spring near Columbus and was brought back to the plantation where he was buried on Aug. 20, 1852. 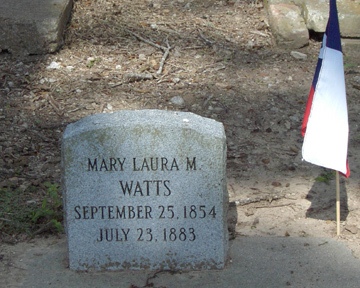 Jane Montgomery Webb died Aug 7, 1878; Thomas Francis Webb died May 23, 1889. 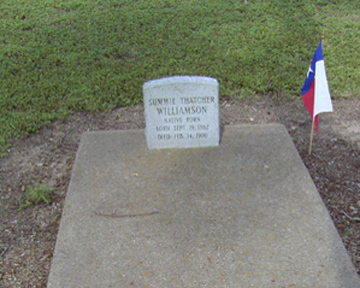 There is no positive evidence of their exact burial place. 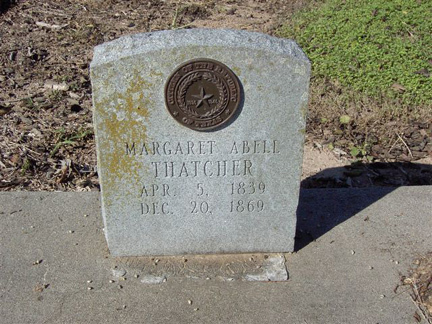 Contact Gary Cox for information about the next Montgomery-Thatcher Cemetery Annual Meeting. 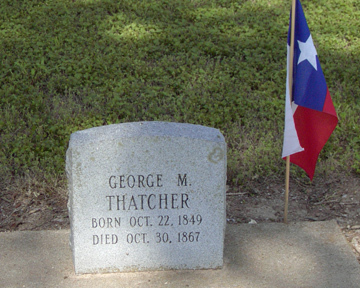 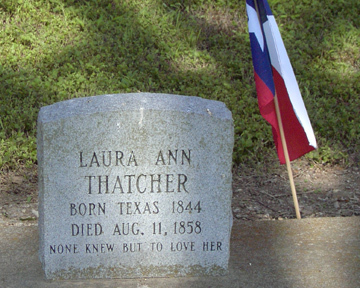 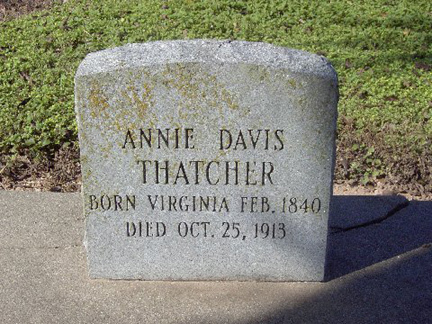 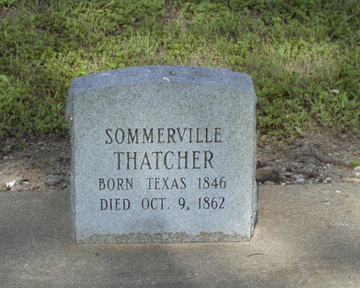 The Montgomery-Thatcher Cemetery served the relatives of the Pioneer Settlers, James Steen Montgomery and George Washington Thatcher. 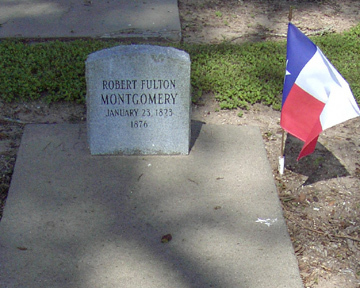 They had just settled the land when the families had to flee the area during the Runaway Scrape, an evacuation caused by the advancing Mexican forces following the 1836 Fall of the Alamo. 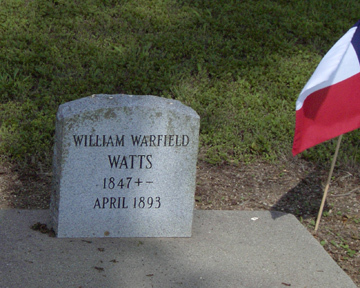 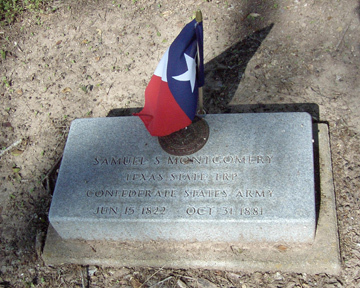 Both men served in the Texian Army. 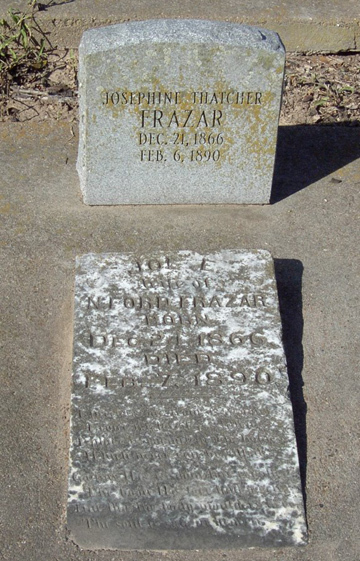 The men and their families were successful planters. 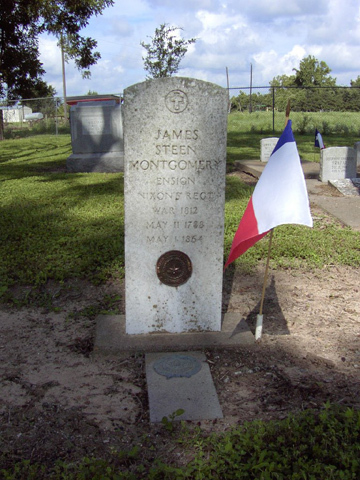 James S. Montgomery served as a Representative in the house of the Republic of Texas in 1842. 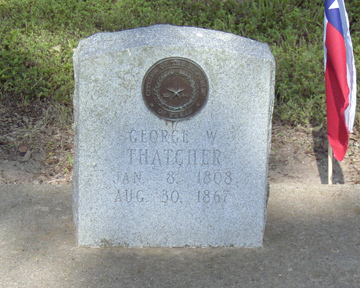 George Thatcher served as the first Postmaster of Eagle Lake. 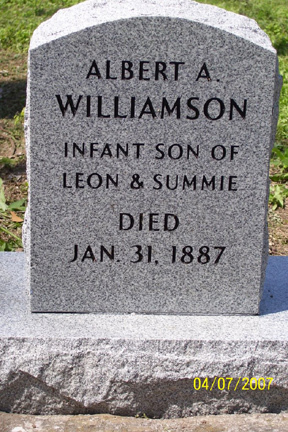 His son John also served as Postmaster. 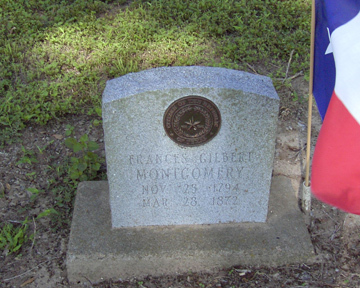 The first burial here was that of James Montgomery, born in Jefferson Co. Mississippi in 1834, son of James S. and Frances Gilbert Montgomery. 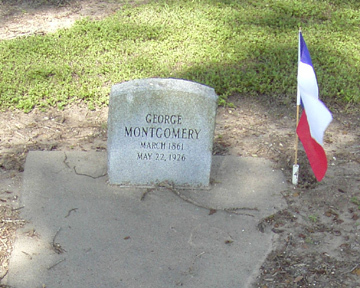 The last burial was that of George Montgomery in 1926. 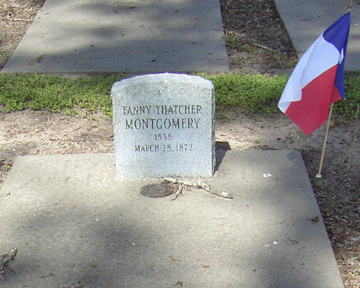 The Montgomery-Thatcher Cemetery Association was formed in 1978 to restore and preserve this Ancestral Cemetery. 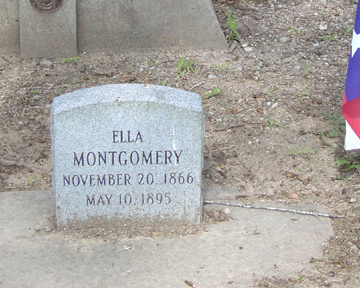 There are 35 known graves and it is believed there are many more who rest under the grove of trees. 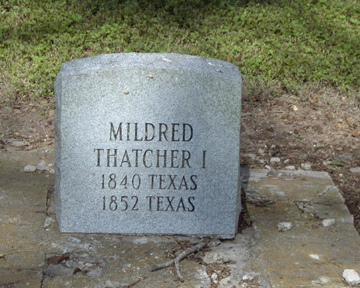 Funds were raised to clear the grounds and fence the property. 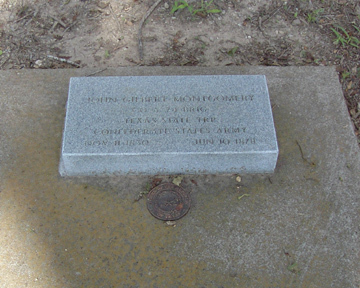 A Texas State Historical Marker was erected in 1981. 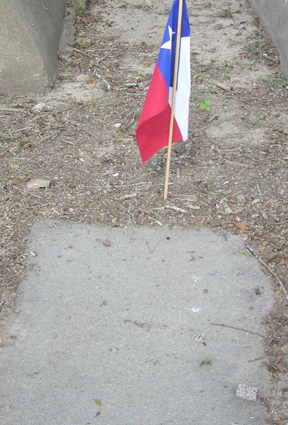 Through the years markers have been placed at the graves of those who were identified by the cement slabs that had been placed over their graves many years before. 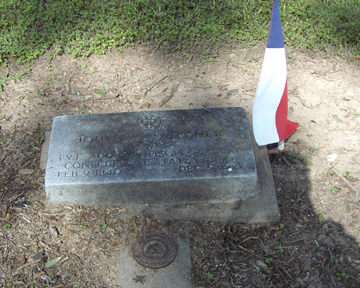 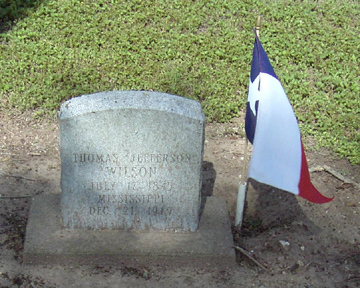 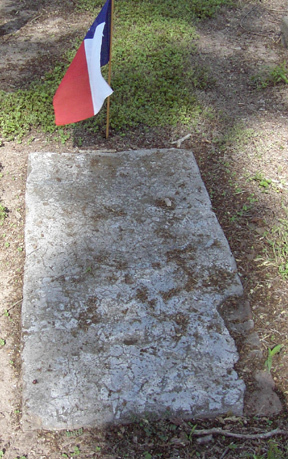 Eleven graves have a CITIZEN of the REPUBLIC OF TEXAS marker. 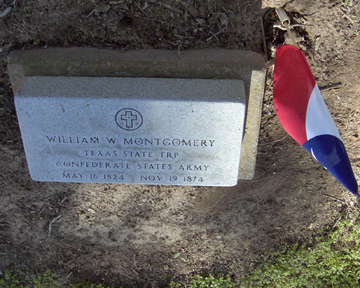 James S. Montgomery has a WAR of 1812 and Confederate Veterans markers have been placed on the graves of John G., Samuel and William Montgomery and John W. Thatcher. 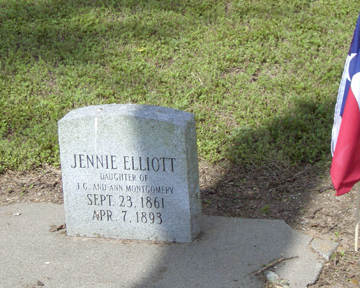 In family letters it is written that John Shelby McNeel was buried here after his death near Columbus about 1855. 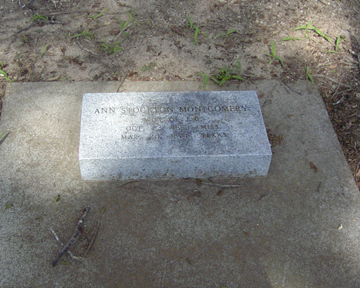 His wife Laura Ann Montgomery NcNeel's grave would obviously be another. 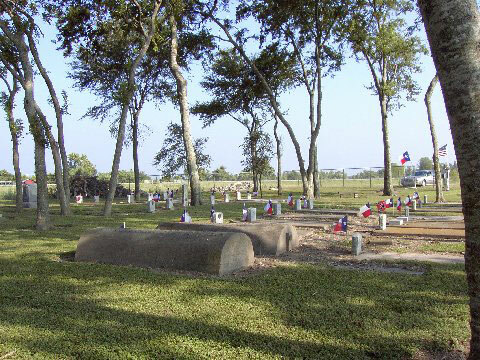 A custodian maintains the cemetery. 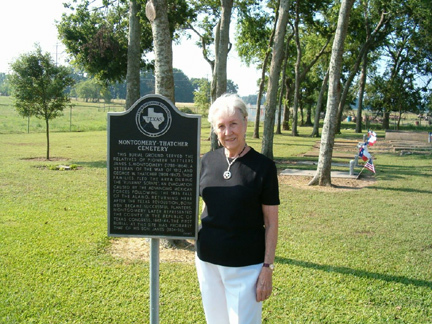 An Annual Reunion is held the last Saturday in June each year. 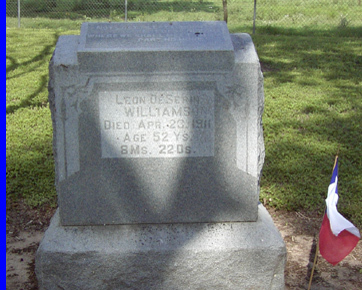 In case of rain the meeting will be held at the Christ Episcopal Church in Eagle Lake located on the corner of Lake Ave. and Strickland. 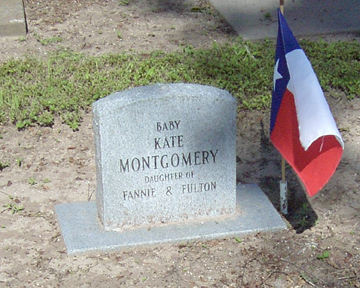 The cemetery is located on FM 950 south of Eagle Lake, Texas. 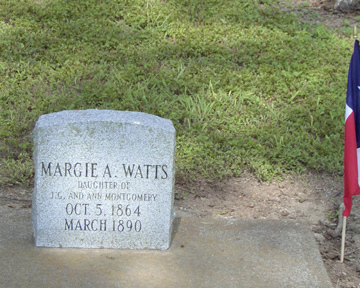 There are 5 lines of graves in this cemetery. 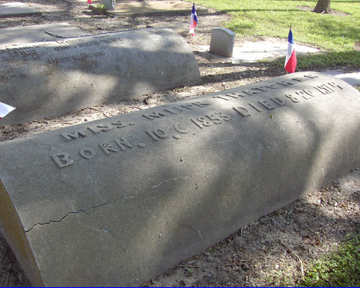 They are lined up in family order. 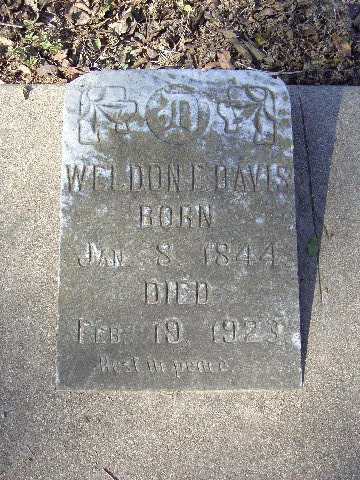 Some of the dates came from Bible records, some came from dates in old letters, and some were on the old tombstones already in place when the restoration was begun in 1978.